The clips on lids are supplied in packs of 6, 8, 12 and 24. One size fits the shallow, deep, extra deep and jumbo Gratnells trays which are available to buy separately. Supplied in a clear translucent finish only. Constructed from durable polypropylene and have been BSI tested and passed for heavy educational use. Please note: the trays featured in the product images are not included. For more information please Contact Us or call us on 01733 511121. 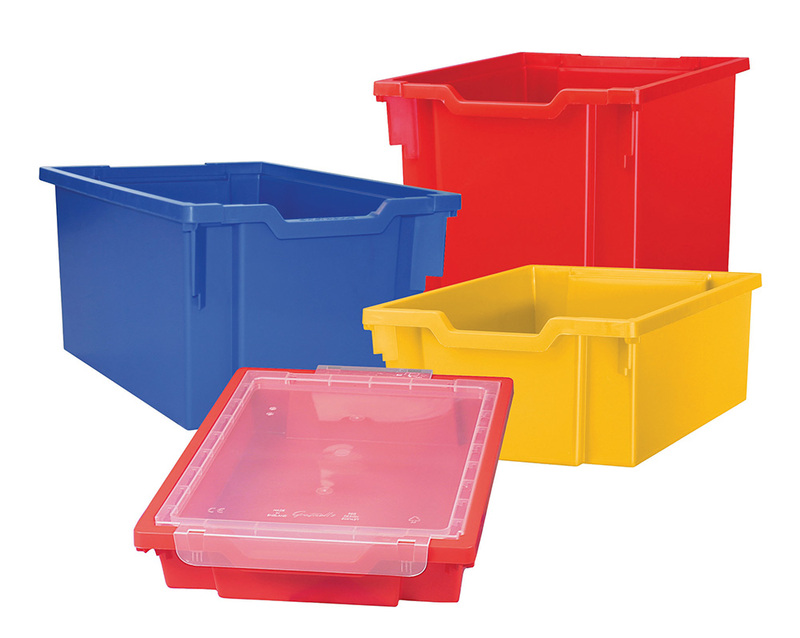 View our full range of Classroom Tray Storage. Manufactured to order and dispatched within 10-15 working days.